Your San Diego audiologist would be the first to tell you not to put something in your ear. And of course you would agree with them! I bet you even still agree with them when you are using a cotton swab to clean out your ear after a shower. 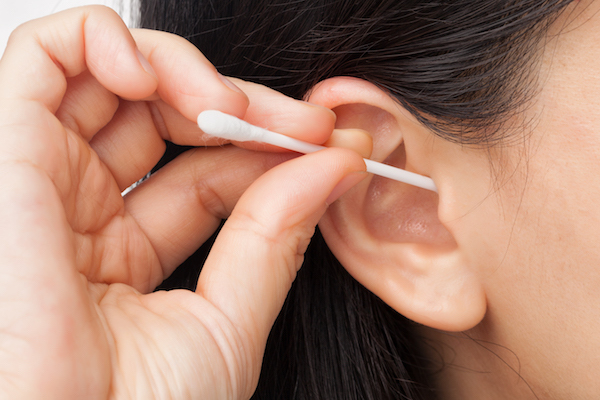 Unfortunately, cotton swabs are in fact quite dangerous to your ear’s safety. They are the most common cause of a perforated eardrum. What Does Your Eardrum Do? Your eardrum is the thin membrane that separates your outer ear from the middle ear. It plays an important role in the hearing process by converting the sound waves that enter the ear into vibrations that can then move through the rest of the ear; these vibrations are eventually transformed into electrical signals that are then sent to the brain to be processed as sound. In addition to aiding in the hearing process, the eardrum keeps stuff from getting into your ear. This can include pieces of debris, bacteria and water. When you place a cotton swab in your ear (yes, even if you place it gently), the pressure it creates can cause the eardrum to rupture. This can result in a sudden sharp pain in the ear, drainage from the ear (either clear or bloody), a buzzing sound and even hearing loss. If you experience these symptoms, you may have ripped your eardrum. You should schedule a visit with your San Diego audiologist as soon as possible (we promise they are more professional than to say “I told you so”). Once there, your audiologist will look in your ear with an otoscope, a lighted instrument, for visible signs of damage. They will then perform a simple hearing test to determine if you are suffering from hearing loss. Fortunately, symptoms are usually temporary. So what are you going to do next time you find yourself reaching for the cotton swabs to clean your ear after a warm shower? You step away from the box (or if you are fancy, the glass jar) and continue on with your routine. Any dirt, debris or earwax that was in your ear was most likely washed out in your shower. To learn more, contact your San Diego audiologist today.